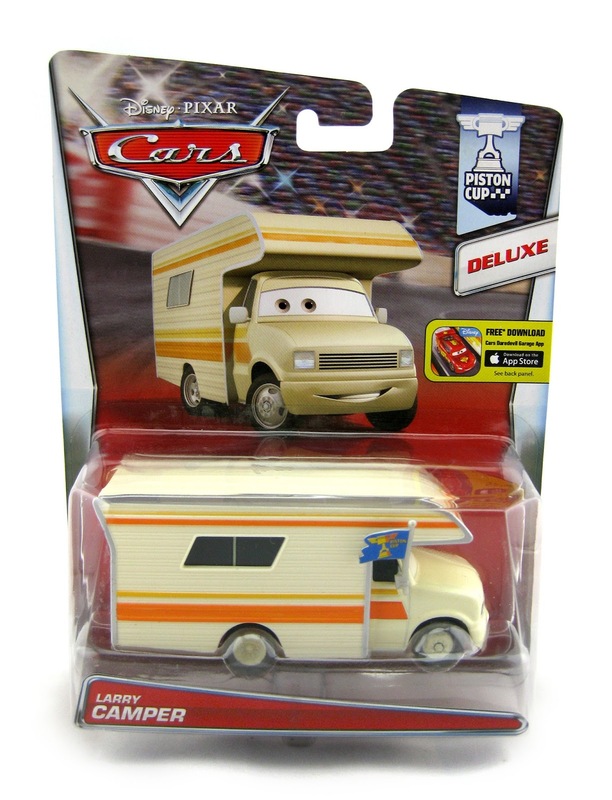 Today we have yet another brand new release from the original Cars...Larry Camper! 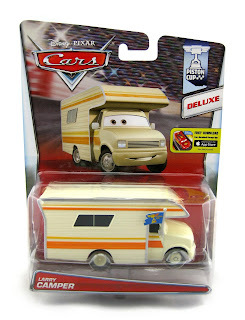 This is a 1: 55 scale "Deluxe" size diecast and is part of the 2015 "Piston Cup" sub-series (# 18/18). This is the first ever release of this character; and it's fantastic. As shown in the screenshot above, Larry is one of the RVs briefly seen during the film's opening Motor Speedway of the South race (also seen at the Los Angeles Speedway race). You can find Larry in stores now! I found him this past week at Toy R Us...definitely head to your local store to check for availability. Happy hunting!